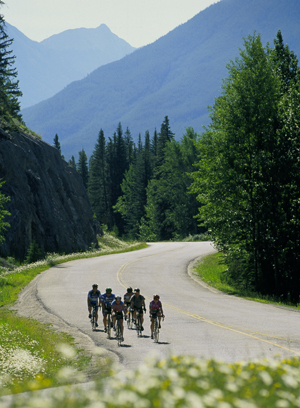 Banff is home to some of the most spectacular road and mountain biking in the world. Cycling is accessible to everyone in Banff. Trails range from easy to very difficult and bike rentals are available at several outlets in Town. Sharrows and trails throughout the townsite make Banff very bike friendly.